Football Season (or I guess I should say Pre-season) is in full swing. This means very little time for me to spend with my co-wedding planner due to his GT Football responsibilities. (Yes Conner has his own wedding planning notebook because he loves helping/coming up with ideas, too. Reason #183847 I love him!). We did find time this weekend to do some fun wedding-related things. Saturday we met with our top choice for our wedding photographer! More to come on this fantastic duo later. After the meeting, we decided to spend the rest of Date Night marking something fun off our road-map: Registering. You can see Conner loved our trip to Williams Sonoma. 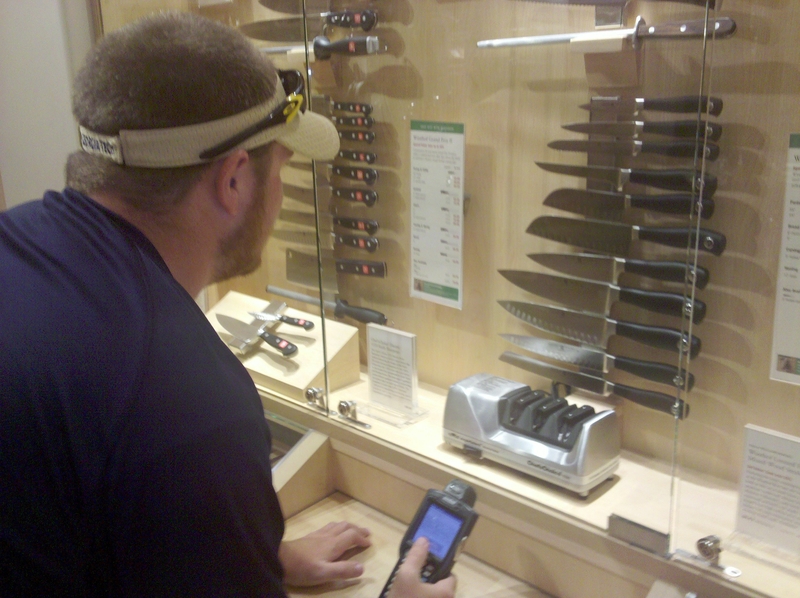 Not really sure what made him more happy, holding the scanner or checking out all of the knives/cooking equipment. 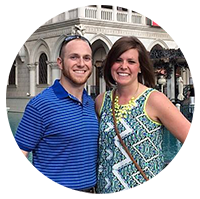 This entry was posted in Uncategorized, Wedding and tagged football, wedding planning. Bookmark the permalink.